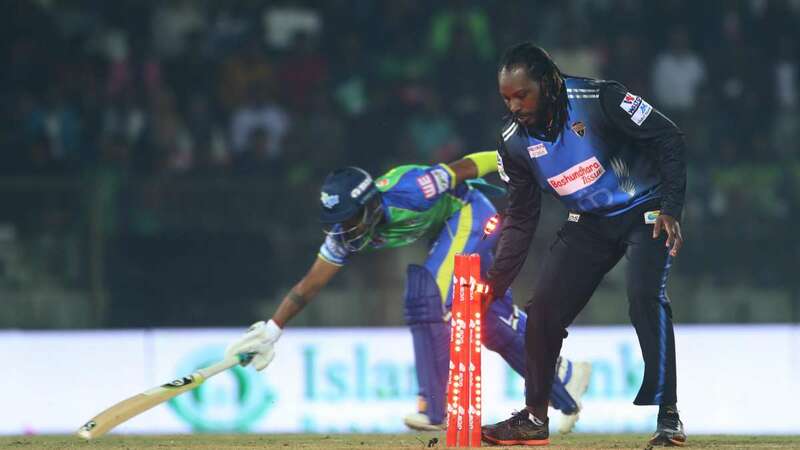 Dhaka : With an aim to revolutionise the domestic viewership standards and change the way the world perceives Bangladesh Premier League, the Bangladesh Cricket Board (BCB) introduced some radical changes to this year's BPL. The home-grown T20 league in Bangladesh strives to be a leading domestic league in the world and for that BCB has made some major technological advancements by using state of the art high-tech gadgets to match world-class broadcast standards. From the latest stump cameras, to spider cams, to use of drones in the stadium, this year's BPL is matching the likes of IPL, BBL, when it comes to providing a unique experience to the millions of fans watching the matches on their television screens. The BCB has hired director Tim Finlay, a renowned name in the field of broadcasting, and his firm for the broadcast and coverage of this year's BPL. Mr Finlay has covered ten IPL seasons and has a vast experience of handling big sporting events. Drone cameras have been introduced for the first time in BPL which is going to take the viewing experience to a whole new level. The spider cams have also been installed in the stadiums to capture the best of top angle shots from the pitch. The spider cams have been in practice in the IPL, BBL and during international matches in several countries and now they will debut in the BPL. A big set-up of 35 cameras, with 18 manned cameras, is being operated across all three venues so that not a single inch of the ground is left uncovered. This will not only provide 360-degree coverage of the ground but also ensure that every activity of the players gets captured to act as a deterrent from making any false moves that are against the spirit of the game. For the first time in its history, the BPL is using two-way stump cameras in the matches. The stumps have been fitted with both front and rear cameras so that the viewers get a glimpse of whatever is happening in the front of and behind the crease. Also, the Zing Bails Lightning Technology has been introduced by the organisers for the first time. The lights installed in the stumps will flash up if anything comes into contact. The Zings flashing cricket stumps are a way to notify the crowd if there's a fall of a wicket and keeping them engaged. Since the Decision Review System (DRS) has also been introduced for the first time in the BPL, the broadcasters are using two ultra-motion cameras that aides the TV umpires catch even the faintest of edges amidst high decibel noise of the passionate Bangladesh crowd in the jam-packed stadiums. The Hawk Eye technology will also be making its debut in the BPL. This technology comes in use to track the path of the ball during LBW reviews. The umpire cameras are also being introduced in this year's BPL. "I am going to once again back my favourite team Rangpur Riders to win the BPL trophy for the second time in a row. I want 'Universe Boss' Chris Gayle to hit huge sixes in this season as well and guide his team to victory. The Riders also have Mr 360 degree AB de Villiers and Alex Hales in their ranks. I hope ABD entertains the audiences in Bangladesh with his explosive batting, the way he's done it in the IPL and for his national team," said Mobin Ansari a supporter of defending champions Rangpur Riders. "I am a big David Warner fan and am very excited about him leading Sylhet Sixers. His team has a good mix of Bangladeshi and international names. I have watched him leading Sunrisers Hyderabad in the IPL. They even won the IPL trophy under his captaincy, I hope he does the same for Sylhet Sixers. It feels great to see our home-grown league is matching the international standards in every aspect of the game. The broadcasters have installed so many advanced pieces of equipment in the stadiums which have given a new definition to viewing the matches even on television sets," said Ashfaq Hasan, a Bangladeshi fan.